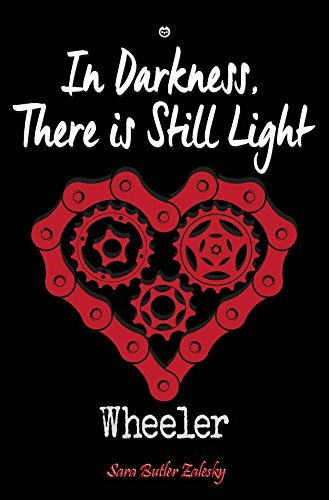 In Darkness, There is Still Light follows the life of professional cyclist Loren and the physical and emotional challenges she faces. What did you want to focus on in book 2 of the Wheeler series? With so much of the conflict in Wheeler having to do with racing and Felix, for the second novel I wanted to bring the conflict closer to home – the relationship between Loren and Graham. Feelings between them developed quickly (too quickly) and being separated yet again makes her realize that perhaps she doesn’t know him as well as she thinks. 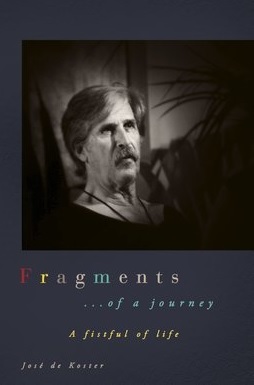 Loren continues to develop into a dynamic character that grows as the story progresses. What was your inspiration for Loren’s character and the challenges she faces? Loren’s character has developed over the many, many revisions but in all honesty, she reacts the way I would react to situations thrown at her. I’ve had Black Moments in my life, and much like how Graham steeped in his emotions over what happened to her to add to his acting performance, I did the same. Loren faces a series of traumatic evens in her life. What were some obstacles you felt were important to her characters development? Loren holds on to her pain; it’s a security blanket and like any crutch, it’s difficult to let it go. Trust issues and lack of boundaries hold her back, both personally and professionally. She needs to rediscover who she is in order to move forward. In Darkness is the beginning of her healing. Where do you want to take the story in book 3 of the series and when will that book be available? Book 3 is outlined and will bring back the excitement of the cycling races of the Women’s World Tour, beginning with the Strade Bianche in Italy. I hope it will be ready for release in early 2019. A streak of bad luck for Loren, old friends resurface but are now competitors. A former flame of Graham’s could make trouble for the couple. Another man steps into Loren’s life. Is he just a friend as he claims, or does he have ulterior motives? Loren Mackenzie knew the headline in The Sun was an exaggeration, but the World Champion time trialist still felt the sting. As her pro cycling season draws to a close, Loren looks forward to taking a break from training and a reuniting with her boyfriend, Graham Atherton. However, rumors and innuendo begin to swirl around them, and secrets they have kept from each other shake their relationship to its foundation. A trip to New York City affords Loren a bittersweet reunion with a love she thought was lost. But, echoes from the past ripple into the present and reliving the fractured memories of her childhood has left her afraid to dig deeper. The monsters that dwell in the dark corners of her mind are all too real. Meanwhile, obsession and greed churn into a storm on the horizon, threatening Loren and those closest to her. When the tempest hits and the winds settle, what is uncovered tilts the axis of her world. Loren must find the strength to believe that even in darkness, there is still light, there is still hope; there is still love. Posted on April 29, 2018, in Book Reviews, Four Stars and tagged action, alibris, author, author life, authors, barnes and noble, bianche, biking, book, book club, book geek, book lover, bookaholic, bookbaby, bookblogger, bookbub, bookhaul, bookhub, bookish, bookreads, books of instagram, booksbooksbooks, bookshelf, bookstagram, bookstagramer, bookwitty, bookworks, bookworm, competition, cycling, ebook, facebook, goodreads, ilovebooks, in darkness, indiebooks, italy, kindle, kobo, literature, love story, muse, mystery, nook, novel, publishing, read, reader, reading, riding, romance, sara butler zalesky, shelfari, smashwords, story, strade, suspense, there is still light, thriller, twitter, womens fiction, world tour, writer, writer community, writing. Bookmark the permalink. Leave a comment.